There are other kinds of spiritual disciplines too, like meditation, sacrifice, and many more. Basically, any regular practice that draws you to abide in Christ and him in you, love others as Christ loves you, or bear much fruit is a disciple-making discipline worth your consideration. 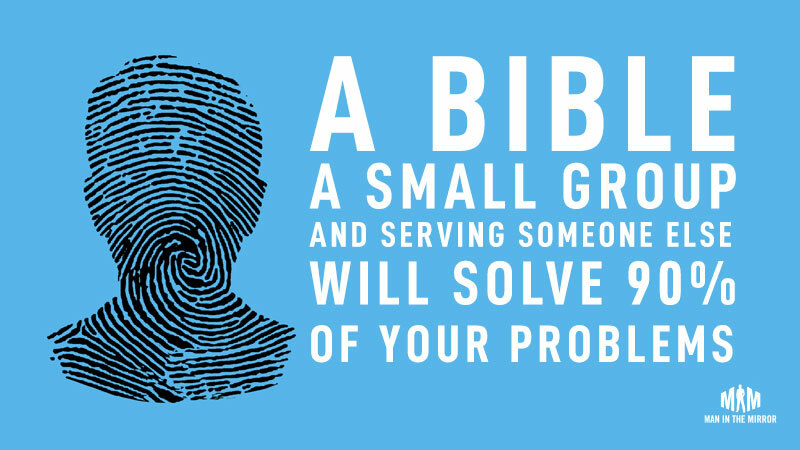 A Bible, a small group, and serving someone else will solve 90 percent of your problems. We’ll go deeper in the book, but after decades of working with men, if I am sure of anything, it’s that if a man can get these three disciplines right—plus pray with and for his wife if married (but that’s the next chapter! )—everything else will fall into place.